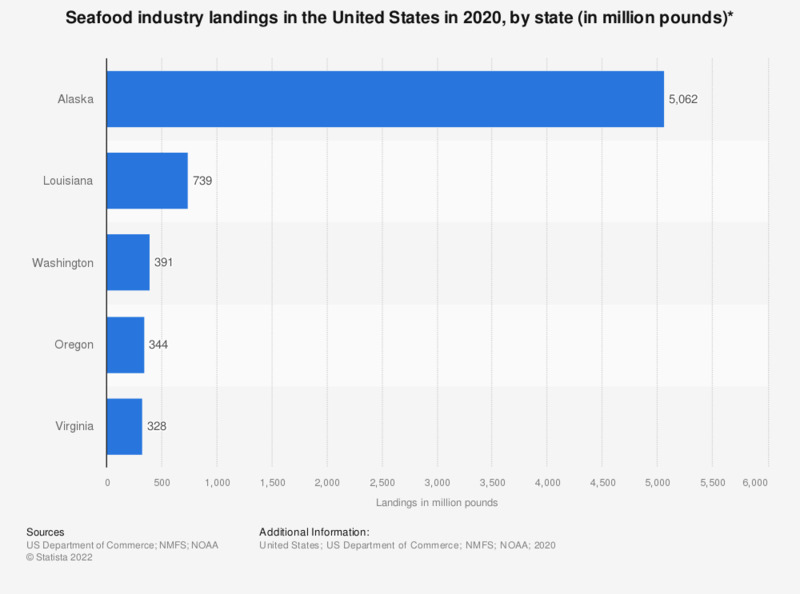 This statistic presents the landings of the seafood industry in the United States in 2017, by state. According to the report, fish landings in Mississippi amounted to about 311 million pounds that year. * Includes domestic finfish and shellfish landings. Only leading states are included.